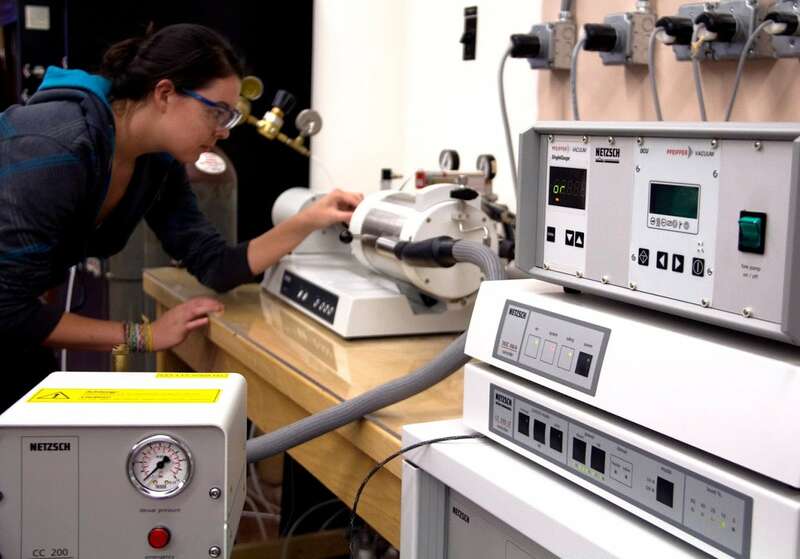 Metallurgical & Materials Engineering has raised $ 10,600 from 4 gifts! As one of the oldest programs at Montana Tech, the Metallurgical & Materials Engineering (M&ME) program continues to fulfill the historical mission of The School of Mines and Engineering as well as the needs and interests of mineral- and metal-related industries while simultaneously addressing those of the materials industries in order to provide a broad and quality education with an appropriate blend of theory and practice so students can successfully and confidently enter into a career and contribute to the profession and society. Students learn how to process ores, separate valuable minerals into concentrates, produce and purify metals, manufacture metals into products, create materials, and join materials together. We are proud of the legacy of our program and are excited at the growth we see. That's why we are asking you to invest in our students with a gift to the Metallurgy & Materials Engineering Scholarship. Scholarship dollars are imperative to support our students and grow our program. By making a gift to the Metallurgy & Materials Engineering Scholarship, we can help students reach their educational goals. Please consider giving today and investing in our students at Montana Tech.